Shazam! 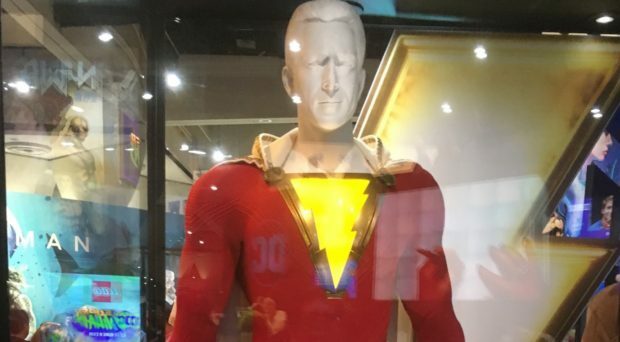 For several years at Comic-Con, the DC Entertainment booth has shown off costumes from movies and television. Focusing on upcoming projects when they can, it’s a chance to let fans get up close and decide how accurate the costumes are to comics. This year, the booth features two costumes from Aquaman, but that’s not the only potential salvation coming for the DC Extended Universe. 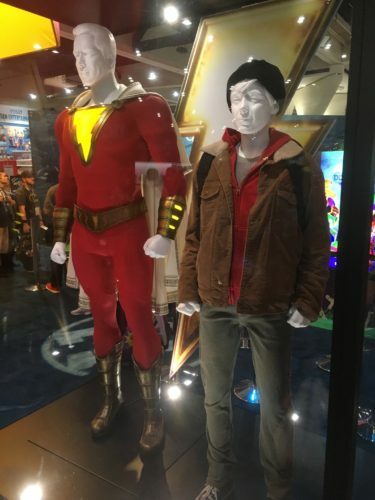 In February 2019, Zachary Levi and Asher Angel will team as the hero formerly known as Captain Marvel, Shazam. Technically, Angel plays Billy Batson, the orphan who says the magic word, and Levi channels Angel in a super-powerful adult body. It’s Superman meets Big, and it promises to inject out and out fun into a world previously defined by Zack Snyder. 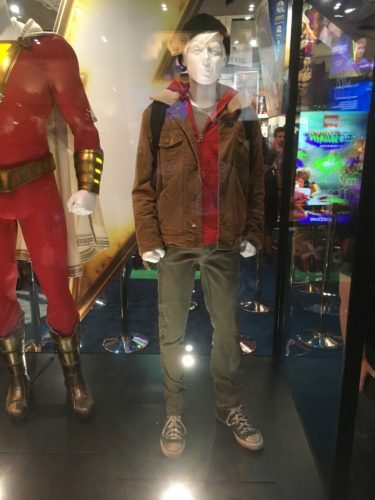 Both costumes are on display, with Levi’s lightning bolt fully glowing. 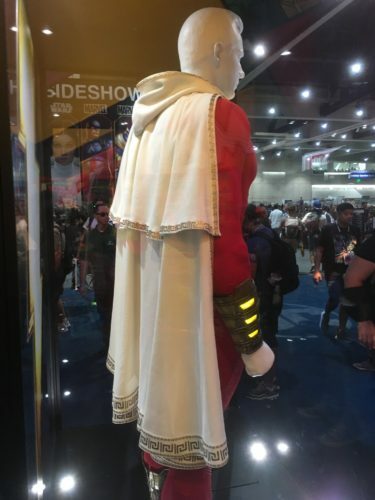 Though it includes Shazam’s 21st century hood, it’s nice to see a shorter cape, more in keeping with his original look in the 1940s. Basically, you can see it. This just might work.